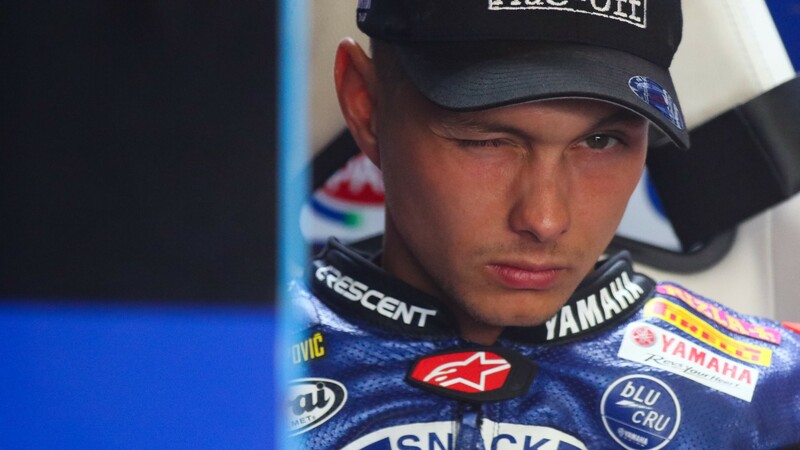 Van der Mark: "The goal is to start where we left off"
Looking forward to getting back on track, Michael van der Mark (Pata Yamaha Official WorldSBK Team) is keeping his motivation high going into Autodromo Internacional do Algarve. Aiming to get back to the strong pace he has shown before the summer break, second position in the championship is in his sights. 2017 was a strong weekend for the 25 year old in Portugal, taking a podium finish in race two which began an upward trend on-board the YZF-R1. A podium followed in Magny-Cours, before an even stronger 2018 season with the Crescent squad. 2018 has welcomed a double victory at Donington Park and seven podiums so far, and with some strong work completed around the 4.6km circuit in the summer break, he will be one to watch. "It will be good to get back on the bike and go racing again,” begins van der Mark. “It has been such a long break this year. The goal in Portugal is to start where we left off in Misano, where I finished on the podium after battling with Jonathan Rea for the win. We will start the weekend from a good position, having completed a successful two-day test here back in August. The set up refinements we made during the test should work well, as the conditions for the race this weekend look to be very similar to those we experienced during the test. I'm looking forward to the weekend ahead and I hope we can start the second half of the season as strongly as we finished the first half." Keep up with van der Mark’s pace throughout the Nolan Portuguese Round from 14th – 16th September, all with the WorldSBK VideoPass. Van der Mark: "We made some changes which is always a gamble"